College is great at teaching us the hard skills required for the business world, but employers are looking to hire an applicant with strong development of their soft skills as well. Sometimes these skills come naturally, but more often than not, we have to seek them out and push ourselves to develop further. 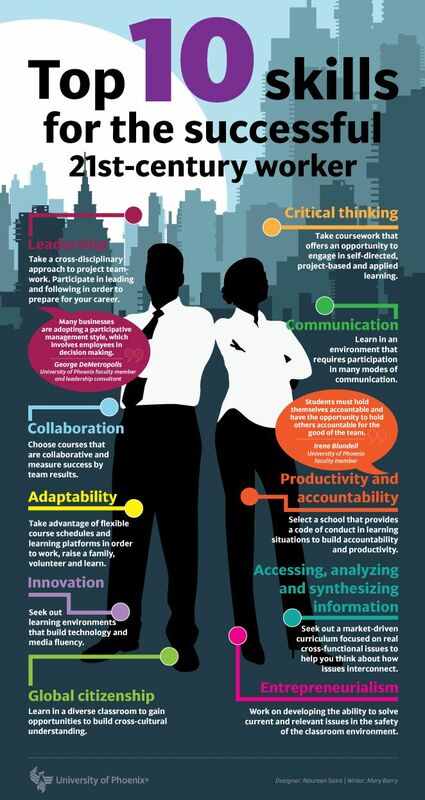 This infographic by The University of Phoenix details the Top 10 skills needed to succeed in the 21st-century workplace and how to best acquire them. Are your extracurricular activities, coursework, internship, and volunteering helping you gain these must-have soft skills?